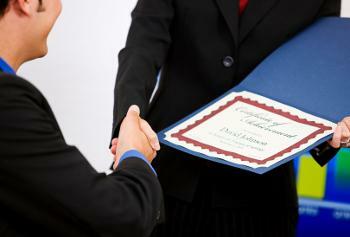 Highlighting your achievements to those who can advance your career can be painfully awkward. But research shows that to get ahead, we have to make those with influence aware of our achievements. You want to be a human highlighter. Highlight the achievement of a professional ally, who in turn will shine a spotlight on you. Think of it as quid pro-MOTE. Recommending someone for an award. Writing a blurb in the company newsletter about another em­­ployee’s win. Hosting a gathering to celebrate someone’s achievement. Two of the above techniques were employed by the human high­­lighter friends of Peggy, an executive assistant who won a national award for an in-house training curriculum she created at her Fortune 500 company. When Peggy was recognized for this award, she shared the news with Joan, who immediately said, “What can I do?” Joan was the one who called the marketing department and suggested a feature story in the company newsletter. Another human highlighter offered to throw an admin luncheon in Linda’s honor. You can bet Peggy will be reciprocating at the first available opportunity. Finally, keep a file where you can track accolades, awards, compliments, testimonials—anything that recognizes your achievements. This quick reference file can come in handy when it’s time to discuss a raise or promotion. While boasting about yourself can be uncomfortable, allowing a trusted associate to highlight your achievements is a smart move that business professionals would be wise to adopt.